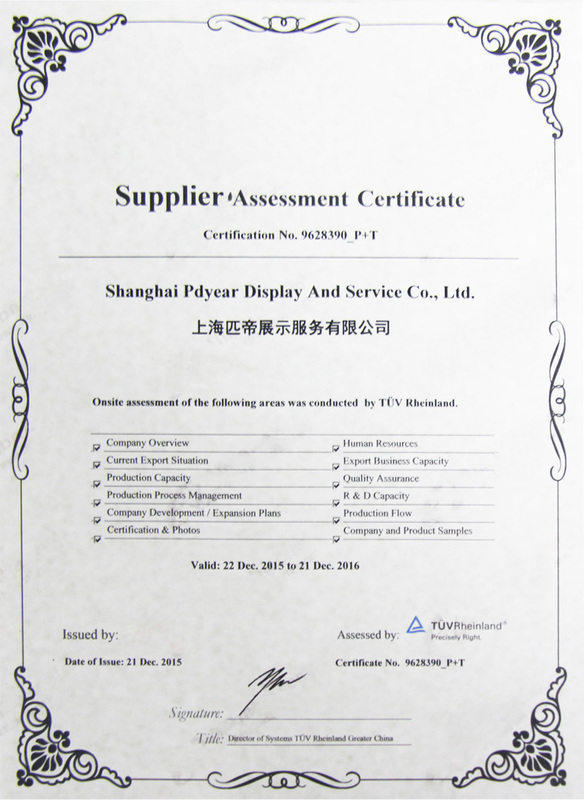 Welcome to PDYEAR---a professional advertising display products manufacture which is 11years old gold supplier will always keep its high quality, short lead-time, delivery time and best service. We strictly abide by the rules of the International Quality Management System. There are more than 60 workers in 6departments while the printing department is the characteristic one. There are 40 sets printing machines , various fabric materials for option and we use import ink for graphic printing. Our main products are beach flags,pop up tents, table covers,custom flags,roll ups and pop ups ect. All of these are good for both indoor and outdoor exhibition and trade show events. We have qualified salesman and artwork designers for our jobs. The USA, Canada , Europe, Australia and New Zealand are the main export markets. We cooperate with many shipping companies such as FEDEX, DHL and TNT ext. We shall choose the best way to do a faster and cheaper delivery for you. You can visit to our factory when you come to China. Our tenet is "quality is the lifeline,innovation is the source of an enterprise,today's quality means tomorrow's market" . Our customer service department is located at Shanghai. We have over 15 representatives on-site who are fully trained and really know our product lines. Our friendly and professional team will get you answers in a timely manner, whether you have a basic order question or a complicated custom inquiry. Call, email, or chat live with us today! We are proud of our “Same-Day Shipping” policy. Most in-stock items ship out the same day as long as the order is placed by 9AM Monday through Friday. We use many carriers, commercial and freight, to satisfy our large order volume while ensuring customers receive their items as soon as possible. Our merchandise caters to a wide variety of industries and the vast majority is stocked in an our factory , so customers can find the items they need without worry of backorders or long lead times. Feel free to contact us at any time and we’ll be happy to help you find the display solution you’re looking for!